Hello Crafty Friends!! 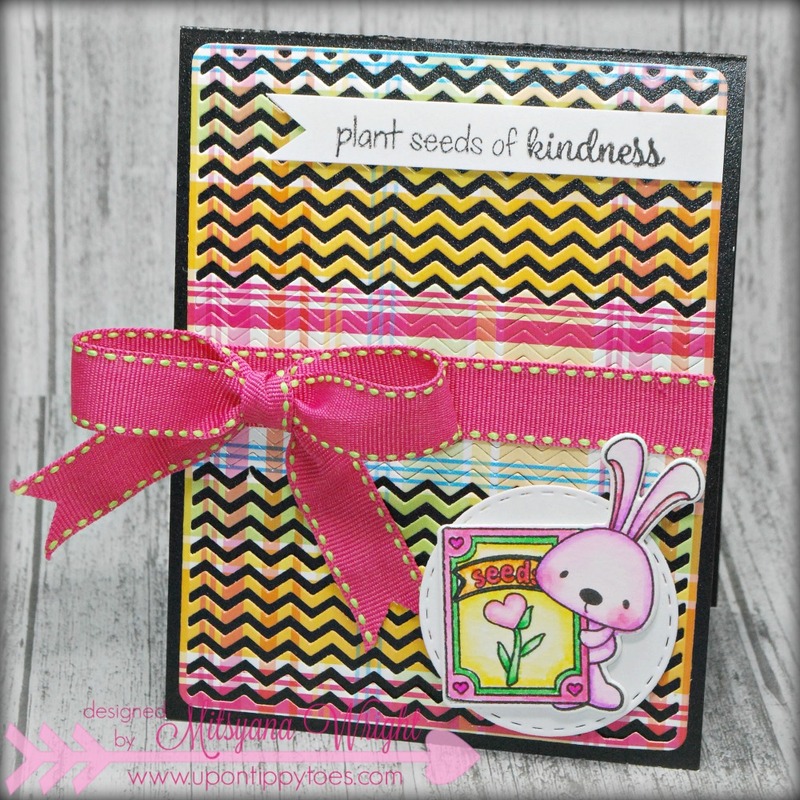 I'm back today to show you some crafty goodness with Team Pink and Main!! 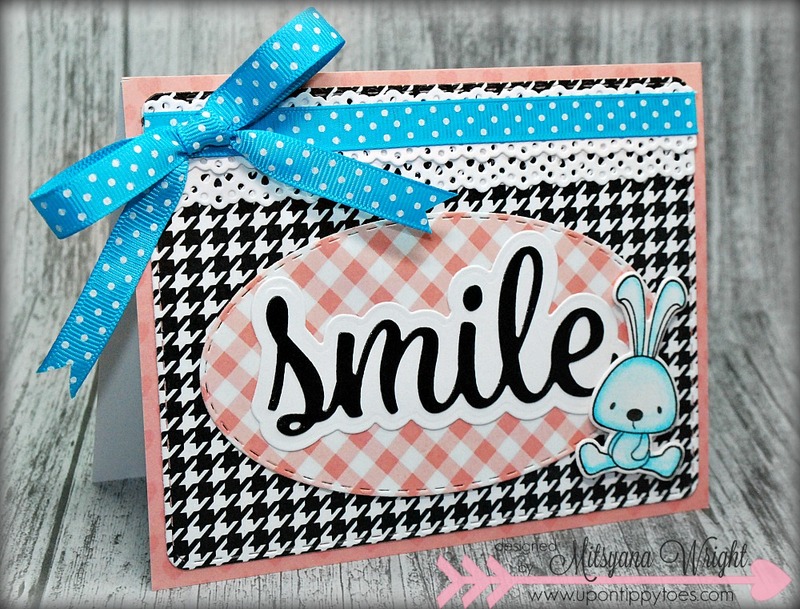 I have been crafting up a storm this weekend and have a few cards to share with you all! 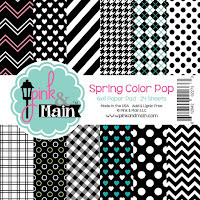 All of which are made using some of Pink and Main's New February Releases!! 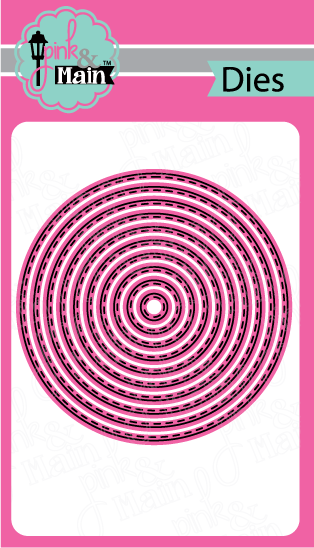 Because I have more than one card to share, I decided to do a mostly pictorial post with you all today. Otherwise this would be an extremely long post and I don't want you all too get bored reading the same steps over and over for each new card. 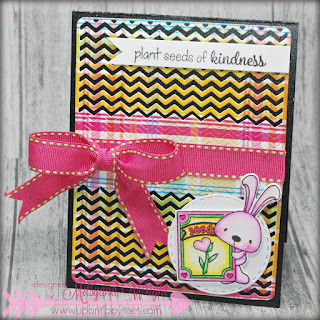 With all my cards I started by stamping out my images, from the Seeds of Kindness stamp set, with VersaFine Onyx Black ink onto Strathmore Mixed Media Paper and I colored them with my Clean Color Real Brush markers. I used a waterbrush to blend out and soften the colors. 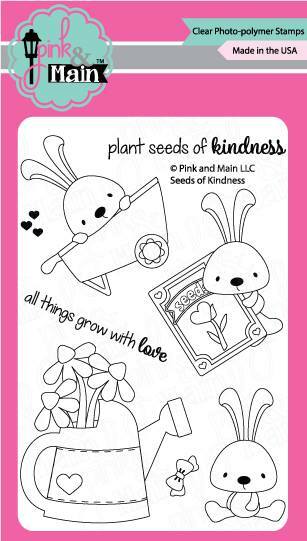 Then all my images were cut out using the Seeds of Kindness Dies. 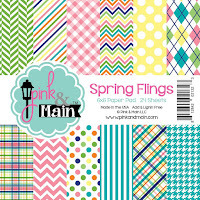 Patterned papers used in this card are from the new Spring Flings (plaid paper) and the Shades of Spring (green dot) paper pads. I used the largest of the stitched rectangle dies for the card front. The largest circle was used for the semi-circle mat and the third largest circle was used to put behind the bunny and watering can. I adhered all (with the exception of the images) to a plain white card base using my Xyron Mega Runner. 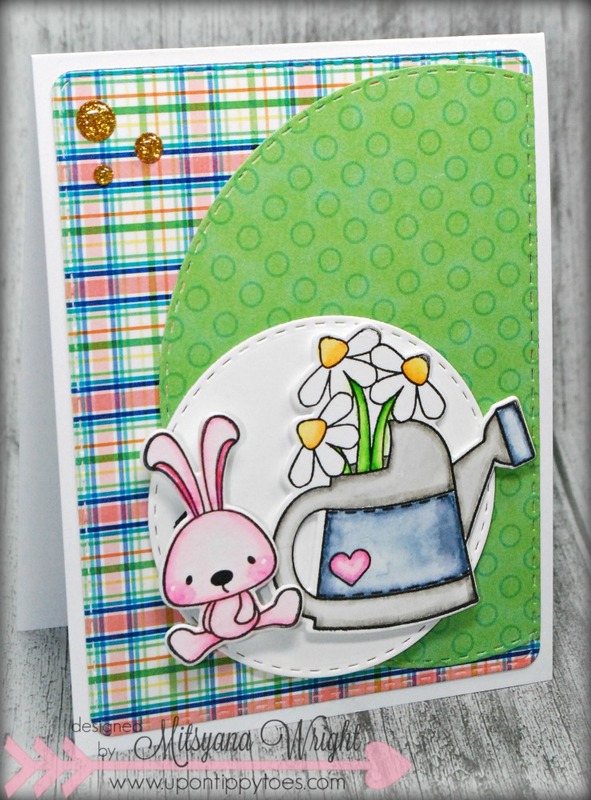 I used 3D dots to prop up the bunny and watering can and add dimension. 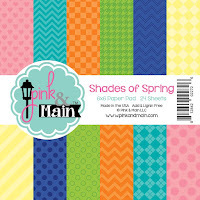 The patterned paper used on this card is from the Spring Flings (rainbow chevron) and the Shades of Spring (scallop circle and flags) paper pads. 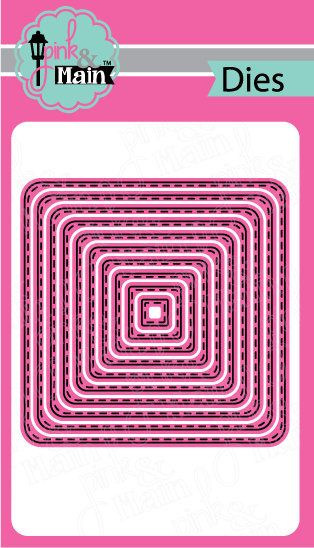 I used the second to the largest stitched square die for my card mat. I hand cut two 1"x 2" pennants and tucked them under the scallop circle. I used dies from the Stitched Circles and the Scallop Circles dies to house my little wheelbarrow bunny. I attached all together (flat) with my Mega Runner then popped the whole piece up with foam adhesive. 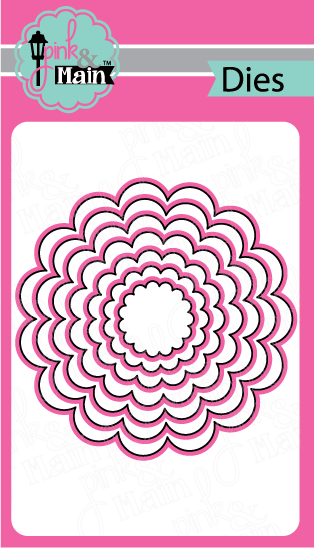 For this card, I once again used the largest Stitched Rounded Rectangle die to cut my patterned paper. 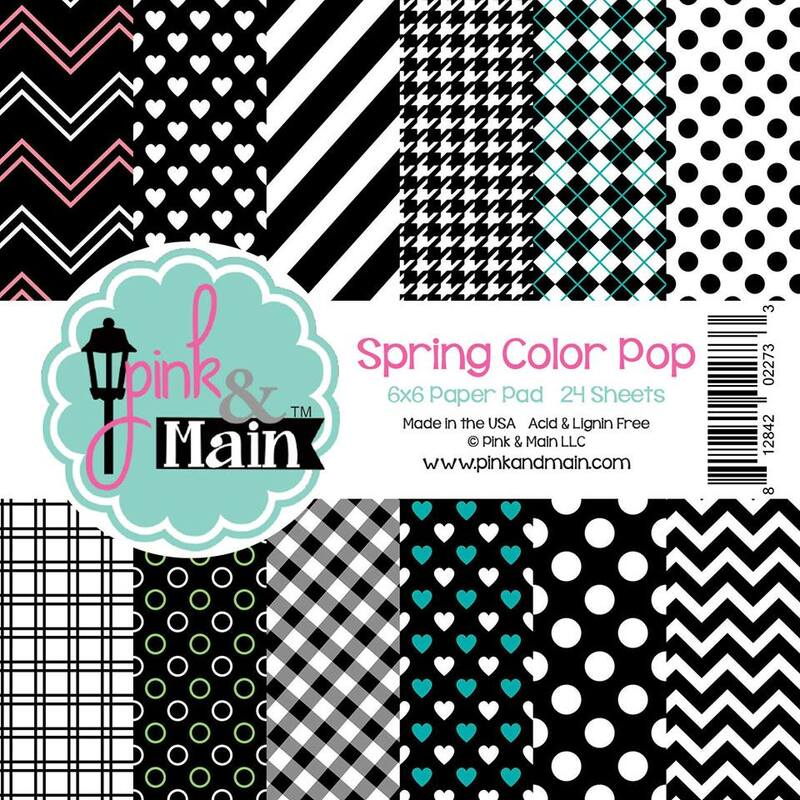 This gorgeous houndstooth pattern is from the Spring Color Pop paper pad. 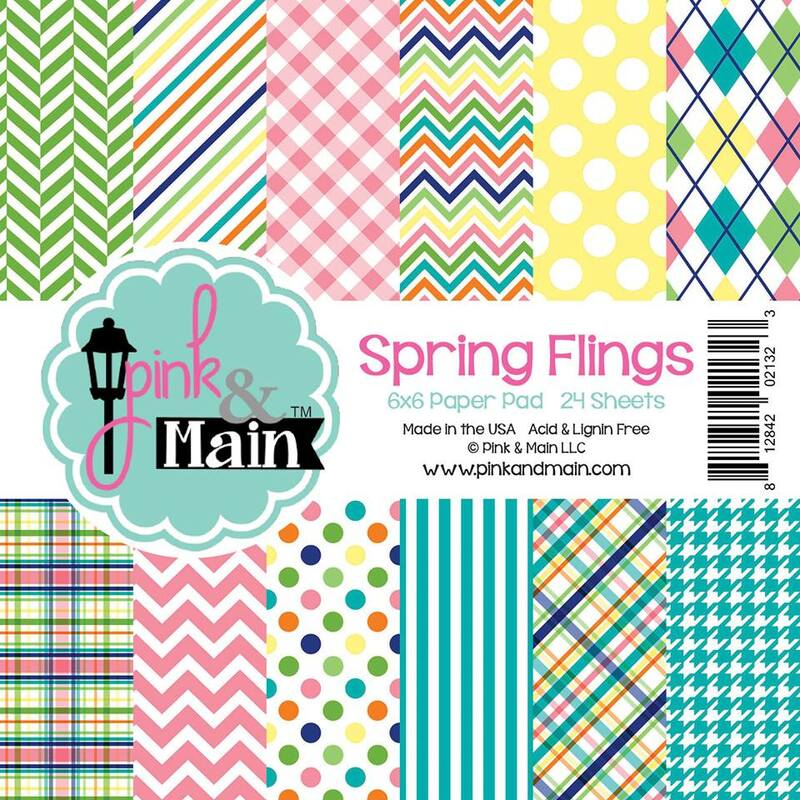 The pink gingham, from Spring Flings . And the pink heart paper from the Shades of Spring. 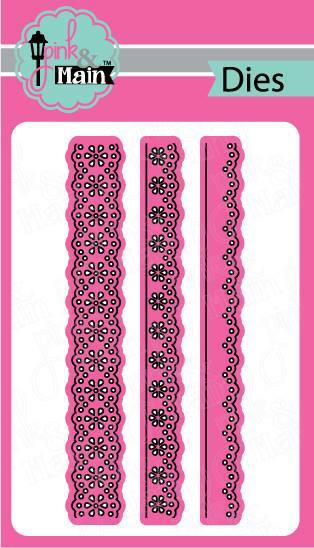 I cut out 2 lacy borders and attached them across the top of the card using my Mega Runner. 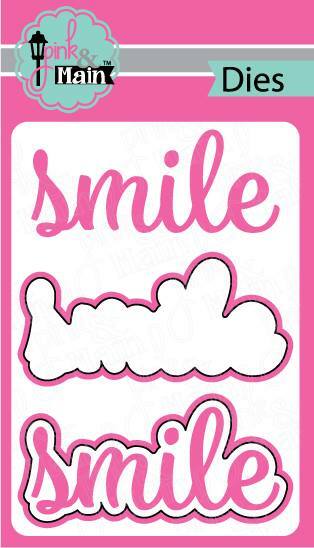 I used a glue pen to attach the smile word to the background cut-out. Then attached it to the oval. 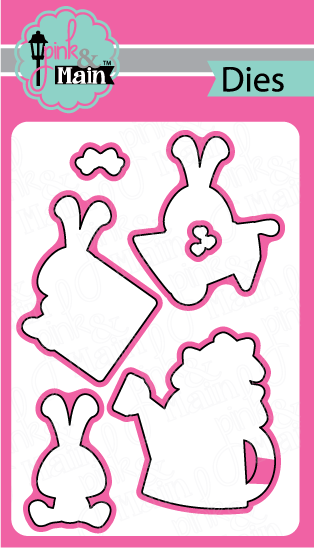 I added a foam dot to the bunny which coordinated with the ribbon and laid it diagonally across from the bow to give the card some balance. I didn't use P & M paper on this one. 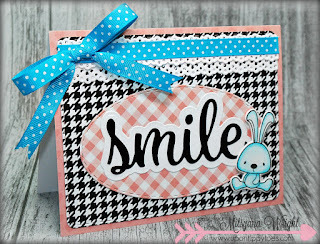 I used a fun plaid paper from DCWV's Birthday Stack along with Stephanie Barnard's Mini Chevron Background Dies. 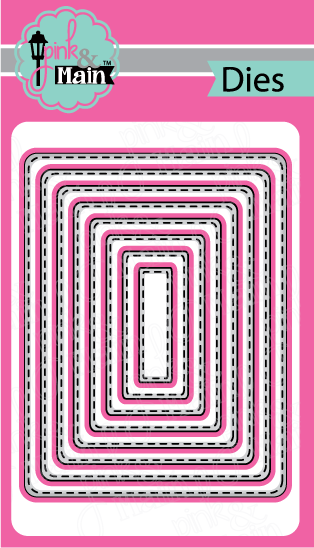 to create the card base. I left some of the chevrons still attached and attached a ribbon over top, giving it a little belly band. 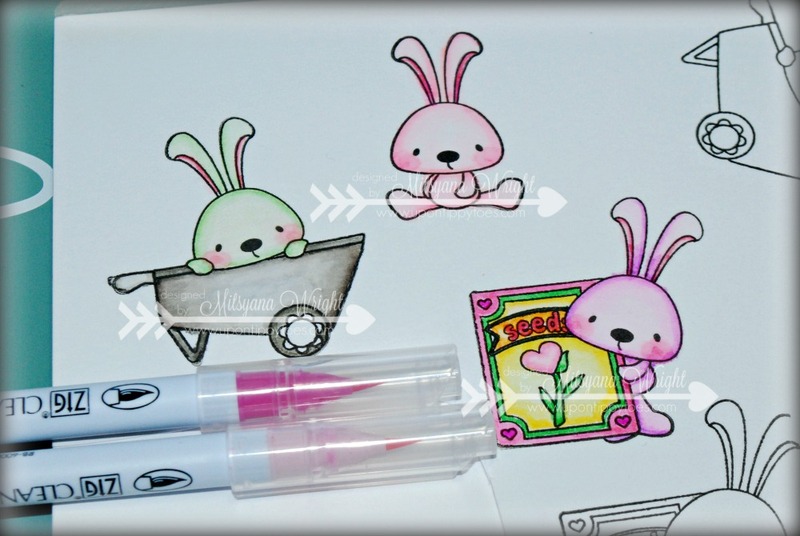 Then added my little bunny in a stitched circle. WHEW!! That was lots of projects done in one weekend (at least for me it was a lot)!! I was so pleased that I was able to get so many cards from one stamp set!! Wow! Thank you for the tutorial. I was wondering how you got the color on. I may make my own version of these. Super duper cute!